Who should be responsible for clearing sidewalks in a city? It’s a question many cities are struggling with as they try to balance costs with concerns over accessibility. The city of Kitchener has adopted a hybrid method that sees the city clear some sidewalks, while residents are responsible for their own property. If residents fail to clear the sidewalk within 24 hours after the end of snowfall they are warned, and then billed for the removal costs. In Guelph it is the city’s duty to clear all sidewalks, but some residents feel they are not getting the job done. 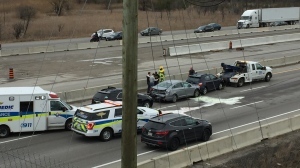 “The last storm it took them about five days to get up here,” Said Carmela Van De Geyn, who runs and online Guelph community group. 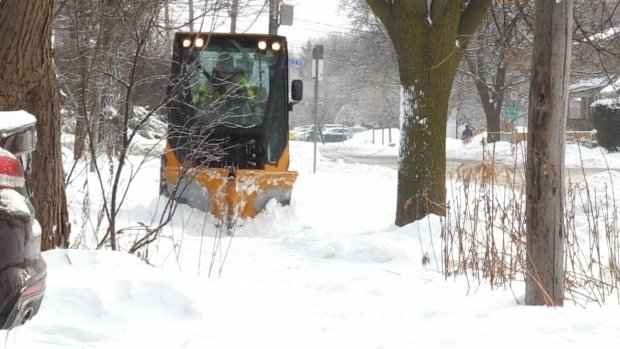 The city says they have 660 Kilometers of sidewalks and paths to clear, and they are working hard to get the job done. “Staff is out there working long hours, try to be patient.” Said Geoff Walker, Supervisors of Operations with the City of Guelph. According to the city they had around 20 workers out clearing sidewalks and paths during the last major storm. The city says it typically takes three days to clear, salt and sand the entire city.